Make Kashwakamak Lakeside Cottages your new favourite cottage rental destination. Your hosts Pete and Alice will make sure you are comfortable and feel at home in your cozy lakeside cottage. Plenty of green space outdoors to add to your cottage experience. All of our cottages are just steps away from the picturesque shores of Kashwakamak lake. Browse our website to check out the features each cottage has to offer. We know that your vacation time is important to you and your family, and making your cottage rental vacation experience perfect, is important to us. Kashwakamak Lakeside Cottages is a vacation destination where we hope to see you make lasting memories and welcome you back year after year. Two bedroom/1 bathroom cottage right on the waterfront. 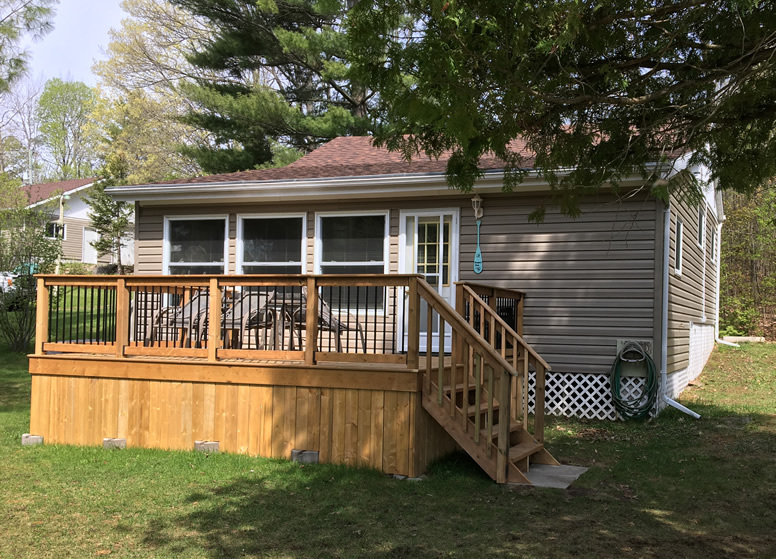 Two tiered deck overlooking the water with full size BBQ (propane provided), and a patio set... .
Two bedroom/1 bathroom cottage just steps from the lake. 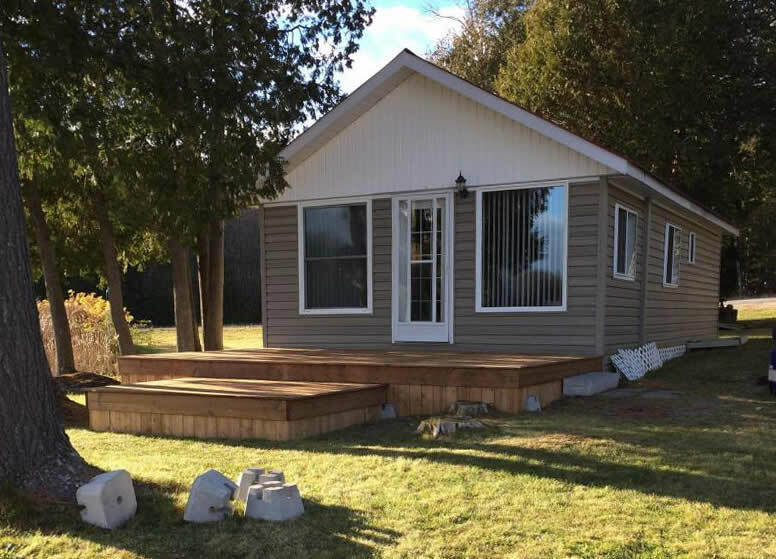 The brand new large deck extends your living space to the outdoors overlooking the lake. .
Beautiful area! Cottages are right on the lake with lots of room to relax. Looking forward to coming again! A quaint lakeside resort just 20 minutes south of the beautiful Bon Echo Provincial Park in North Eastern Ontario. Quite simply the cottage rental perfection, your family deserves. Copyright © 2016 Kashwakamak Lakeside Cottages. All rights reserved.